Only once every 100 years did the mythical seaside village of Brigadoon appear in the mist of the Scottish Highlands, welcoming those who crossed the stone bridge into a village of merriment, hospitality, and warmth. 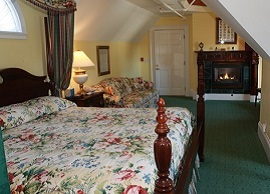 Nestled near the water’s edge, Brigadoon Bed & Breakfast exudes that same graciousness. 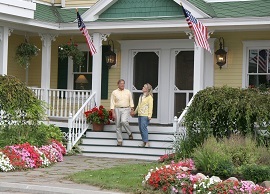 As Mackinaw City's premier bed & breakfast, we thank you for considering staying with us at Brigadoon! 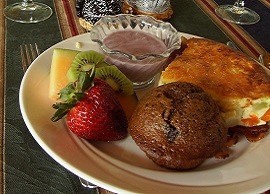 Enjoy a delicious seated breakfast each morning, with early bird coffee & muffins. Plus, homemade cookies every afternoon and special dessert creations at night! All eight rooms feature king-size beds, private balconies, in-room fireplaces, cozy sitting area, large whirlpool tubs, wet bar and more.